A recent relaxation of the rules governing Mauritian property and residency has seen a dramatic surge in the number of foreigners investing in the Indian Ocean island. A small country of just 1.2m people, Mauritius is increasingly recognised as one of the leading African markets for foreign investors. The sudden rise in interest from expatriates is largely attributed to a relaxing of the laws relating to buying property on the island, which set a lower threshold of $500,000 for obtaining residency on the island. The government has reported a significant rise in the numbers of South Africans, in particular, buying up local properties chiefly along Mauritius’ exceptional coastline. By several measures Mauritius is already the leading African economy, with the highest GDP per capita of $25,700, according to New World Wealth report. The World Economic Forum also ranks Mauritius as the most competitive market in Africa. The country ranks 25th internationally in the World Bank’s table for the ease of doing business, and is one of Africa’s fastest-growing economies. James Bowling, chief executive officer of residency and citizenship by investment facilitator Monarch & Co, said that non-Mauritian citizens are now eligible for residency permits upon the purchase of a property under the government’s Property Development Scheme (PDS) with a minimum investment value of $500,000. Mauritius has no Capital Gains Tax, dividends or inheritance tax and a universal tax rate of 15%. 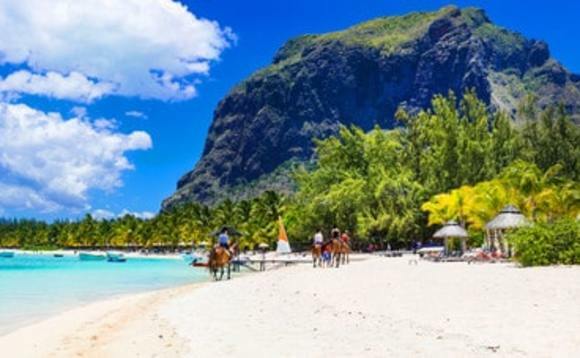 “You can now get into the market from as little as $176,000 (around 6m Mauritian rupees, excluding taxes and legal fees) for a beach property that would be popular for rentals and around R2.3m for a commercial office,” said Pietersen. He pointed out that obtaining permanent residency would require higher levels of investment. “With so much going for it, Mauritius is truly the new property hot spot on the continent,” Pietersen said. Much of the renewed interest is coming from South Africa, where direct flights depart daily to Port Louis on flight times of under 5 hours.